About 43 staff members of the Anambra State Broadcasting Service (ABS), including a star actress in the Nollywood, Mrs. Rita Edochie have lost their job with the Anambra State government. Some were retrenched for inefficiency, others were sacked and others retired. Managing Director of ABS, Sir Amobi Adirika told http://nollywoodgists.com that the affected staff have since November 2008 got their letters, adding that those who were wise had embarked on processing of their retirement forms while some are pretending to be ignorant of the realities on ground. It was further learnt the exercise was based on the advice from the consultant engaged by the state government on measures to turn ABS around and as endorsed by the Board of Directors of ABS. According to Adrika, the retrenchment followed due process as no staff was victimised by the exercise. About their benefits, Adirika said that they would get them later. 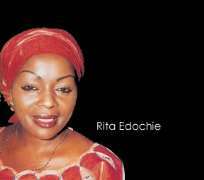 But Rita Edochie has faulted her retirement when she has more than 15 years to put in service saying she was a victim of jealousy and assassination of character. She, however, said that as a law abiding citizen that she has petitioned the governor and appropriate quarters on her plight hoping she would get justice. But http://nollywoodgists.com learnt that the affected staff would appear before the Anambra state House of Assembly on Friday by 10 O'clock to present their case before the House Committee Chairman of Information Hon. Egwuatu Mgbilimgba. The Commissioner for Information and Culture in the state, Prof. Chinyere Okunna noted that the retrenchment was part of the ministry's efforts to reposition the broadcasting service for efficiency and that the state government is still unfolding more plans to re-organize and properly equip the media outfit to meet the challenges of the 21st century. It was further learnt that there are about 20 petitions against the state government in connection with the retrenchment exercise many have gone to court to challenge their retrenchment when they still have years to work. One of the petitions dated Jan.13,2009 stated," some of us lost our jobs because of stigma of non indigene of the state while some were victimised because they had running battles with the Managing Director and their Heads of Departments,"
"Your Excellency, I urge you to set up panel of inquiry to look into this situation to avoid setting a bad precedence in the organisation. A lot of water has passed under the bridge, in fact it's difficult to believe their reasons because I have discharged my duties diligently,"